I went back and started watching old episodes of The Office this past week. This show always makes me a little uncomfortable and also makes me laugh. The subject matter is always a bit over-embelished but usually very true. That is just a great combo… it’s a win win win. 2) Everyone else is an idiot – So you have been working here for 14 years and doing _____ the same way forever. Now this egomaniac wants to come in and tell me his way is better! When you find yourself going toward this line of reasoning, it is best to stop and look at it from all perspectives. He or she may see something you have overlooked and might have some insight to what might work out better. Are you as open-minded as you think? Probably not and if you don’t stop and think you may be guilty of (see #1). I also have to mention that not to many people like to be wrong. Especially when they are a Know-it-all. Sometimes it takes a little humbling before you can admit that you might still have something to learn… brings me to my next point. 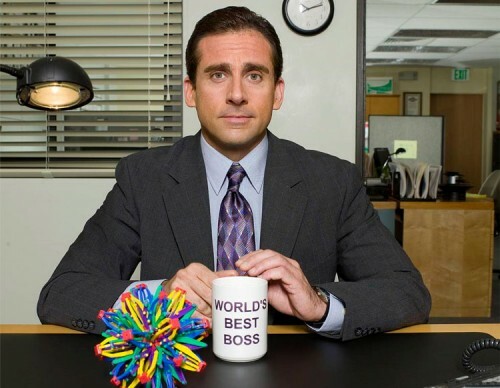 3) I prefer to be left alone– I know what you are thinking and I can hear it from Micheal Scott himself, “Truth be told, I thrive under a lack of accountability.” That is a direct quote from The Office and when you listen to it, it sounds absurd. The truth is many of us prefer it this way. We would much rather have a lack of accountability, than to have to face the weaknesses in ourselves. It might then force us to change(refer to #1) or face the fact we aren’t perfect(refer to #2). Basically once you know the truth of who you are, you can’t really stay the same. That is why we/I prefer to be left alone. When I screw up, I don’t have anyone asking me why this happened. I don’t have anyone asking how we can do it better so it doesn’t happen again. I don’t have people getting in my routine and changing what I do so I can’t mess it up. Oh the joys of having accountability. This entry was posted in change, Goals, Humor, sarcasm, work by Raul. Bookmark the permalink. Nice post babe! So true we never like the thought of accountability… I used to not want to be a christian for this reason, and hey i can’t be my own god I wouldn’t be a good one. Somewhere along the line God changed me and I love accountability Bc when i have it i strive n thrive!